It was a clear, crisp evening in May 2004. Sotheby’s New York City auction room seats 1,200, with standing room for another 300. 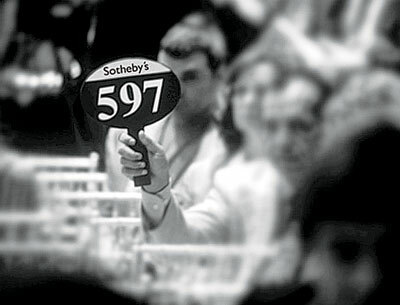 Half an hour before the sale began, the room brimmed with potential bidders, collectors, consignors, and dealers trying to read the mood of the crowd. Men in impeccable, hand-tailored suits and women in designer clothes and exquisite jewelry congregated below the auctioneer’s podium and in the aisles, hugging and blowing kisses. Some greeted colleagues from around the world with genuine pleasure, while others merely sought to impress onlookers by fraternizing with persons of suitable importance. As at all the major evening sales of Impressionist, modern, postwar, and contemporary art, admission that night was by ticket, and seats were assigned. The position of one’s seat indicates one’s status in the art world. The most significant buyers sit up front. The farther back you sit, the less important you are. My partner and I took our usual seats in the fifth row, on the aisle. A landline had been placed on the floor beside us, so that we could speak to our clients and execute their bids anonymously. The Picasso was only one of several fantastic paintings in this sale from the Whitney family collection, and although we didn’t have a client bidding on the Picasso, we did have parties interested in a lovely Degas. Above the fray, on both sides of the room, skyboxes sheltered the superwealthy, superfamous, or supersecretive from inquisitive eyes. I noticed that the curtains of several were drawn, leaving only narrow openings through which the occupants peered. Below these aeries, half a dozen Sotheby’s operatives manned phone banks, poised to execute the bids of the boxes’ unseen inhabitants, as well as those of absentee contenders or people in the room who would instruct the Sotheby’s personnel through cryptic signals. Promptly at 7 o’clock, auctioneer Tobias Meyer mounted the podium dressed in a superbly tailored tuxedo. He announced the first lot, Degas’ Cheval de Selle, in which our client had serious interest. We had hoped that thoughts of the Picasso would distract the audience from the Degas. No such luck: The picture brought four times the estimate—sending an electric charge through the room.After a series of spirited sales, Meyer finally announced in an imperious tone, “Lot 7, the Picasso,” as the prized painting was brought in to the sound of a collective gasp. A hush fell. Although the catalog listed no estimate, Sotheby’s had leaked the figure of $70 million—an extraordinary number—to the cognoscenti. Meyer opened the bidding at $50 million. Bids fired from all directions: 52, 55, 58. The frenzy had little to do with the name Picasso, but rather with the mesmerizing quality of the painting itself. Infatuated by this superb image, collectors who had never thought of owning a Picasso, or even a modern work, began to bid. As I watched, I recalled the first time I had seen this picture: It had moved me almost to tears, and my reaction to it that night was much the same. This painting has an emotional impact far beyond that of most of the artworks I have encountered in a lifetime of viewing paintings. 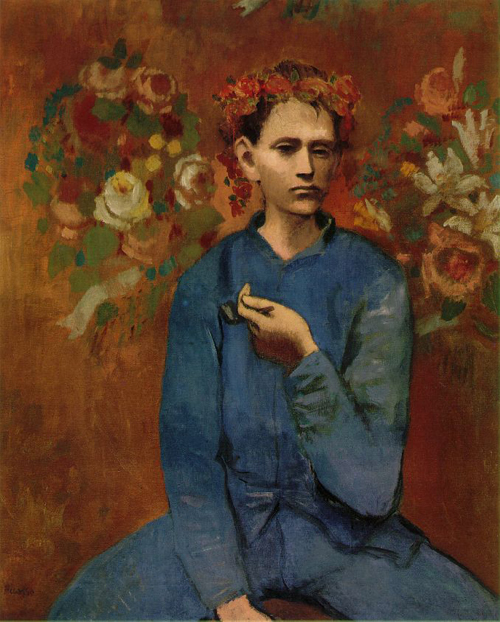 Finished when Picasso was only 24 years old, the image has a special power that transcends the artist’s youth and inexperience at the period in his career when it was painted. By the time the bidding reached $75 million (what some dealers call the “nosebleed zone”), most of the contenders had dropped out. The competition narrowed into a tense duel between two individuals. One was Larry Gagosian, the legendary art dealer, who, seated in the center aisle, spoke by cell phone to an unknown buyer. 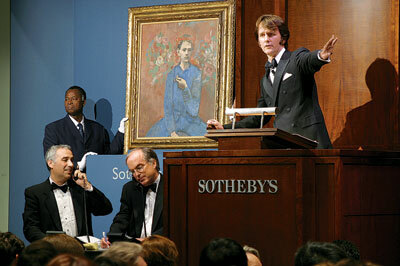 The other, Warren Weitman, chairman of Sotheby’s in America, stood in front of the phone banks to the right. I couldn’t remember Weitman ever bidding before: Clearly, whomever he was bidding for would only entrust this transaction to the head of Sotheby’s. By the time the bids reached $80 million, the audience held its breath. At $82 million, Gagosian’s cell phone went dead. He turned white. Meyer, who could have sold the painting right then at $83 million, had the sangfroid to wait until Gagosian grabbed the cell phone of the woman sitting next to him. He resumed bidding in an atmosphere of palpable tension. When Meyer announced a bid of $93 million, a livid Gagosian went silent. Meyer leaned toward him to ask, “Are you sure?” Gagosian nodded. Only Weitman remained on the field. Meyer paused, then, with great dramatic force, restated Weitman’s last bid. Another moment passed. Meyer brought down the gavel, “Sold for $93 million.” Then, he turned to Weitman and, with a slight bow from the waist, thanked him. The room broke into applause, aware that, with the buyer’s premium added to the hammer price, the total would be more than $100 million—$104,168,000 to be precise. The era of the $100 million painting had arrived.To this day, neither the public nor the press knows the identity of the buyer. Even Meyer claims not to know. The art community keeps poor secrets, so it’s remarkable that, almost two years later, the painting has not been sighted. If the buyer was one of the usual suspects—that is, an established collector—word would have filtered out. Is the painting in Saudi Arabia? Japan? China? No one knows. Last month, walking through an airport, I saw a giant advertisement for Sotheby’s bearing the photo of Tobias Meyer standing at the podium in front of Boy with a Pipe. Clearly, Sotheby’s had realized the significance of that auction, which had set the precedent that would enable other 19th- and 20th-century artists—van Gogh, Pollock, maybe someday even Warhol—to command similar prices. I remembered that spectacular evening as I looked at the ad, reflecting that, on that occasion, Sotheby’s—and perhaps even Meyer—had become as firmly entrenched an icon of art as the Picasso itself. and a partner in the art advisory firm Guggenheim, Asher, Associates, Inc. She is a regular contributor to publications such as Elle and W.